It always happens: The party ends up in the kitchen. So turn your kitchen into the open, inviting gathering space it wants to be. 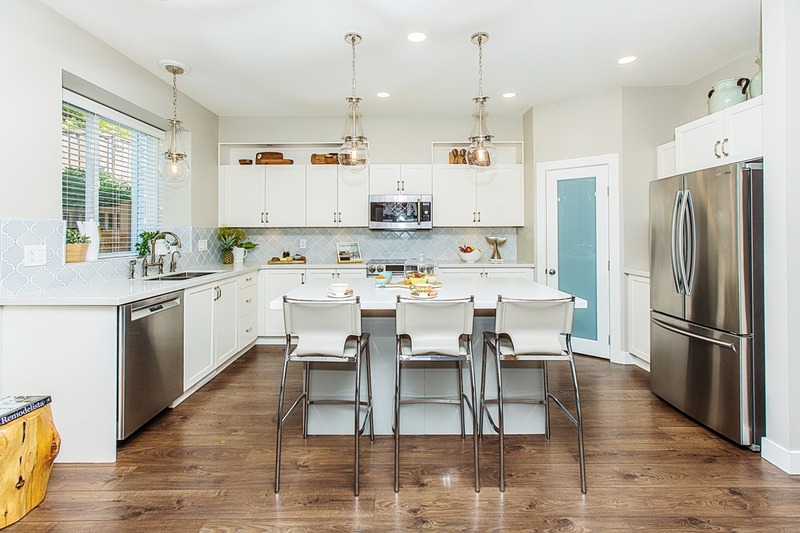 There is a reason the open kitchen design is so popular: it brings great flow, creates inviting ambiance and showcases your design style without compromising on functionality. Any kitchen layout from a single wall design to a large kitchen layout featuring several islands can be the setting for social interaction; from family to holiday party size. 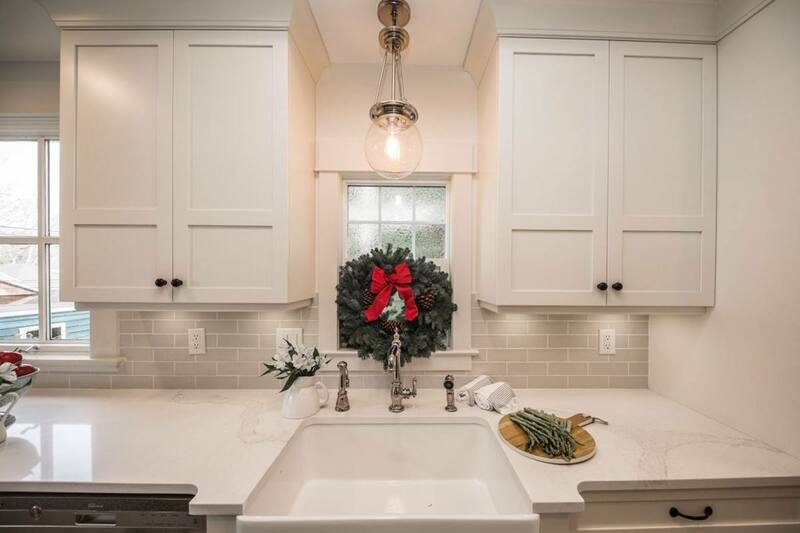 With clever use of cabinet material and styles, accents, backsplashes, appliances, islands, and custom features your kitchen will be the heart and showcase of the home no matter the size of space or party. Why be cupboards when you can be painted high gloss flat panel paired with matchstick natural stained walnut or be traditional shaker in a not so traditional Wedgwood blue? Sure they hold the plates and pots but they can also inspire you to soak in the best parts of your day like hanging out with your favourite mug in a gorgeous space that makes you happy. every. single. morning. It’s the compliment or the contrast, the main event or the supporting character that brings everything together. You can truly do anything here, from countertop material to ceiling high back painted glass to natural stone in a fantastic array of colors and patterns to hand made ceramics that speak to organic style. You can put any textile on the wall because the latest porcelain tiles are THAT GOOD. Are you hoping for white marble surfaces surrounding your kitchen cabinets, basking in natural light? Are you ready to let that marble bloom into a piece of fabric that tells a storey through a few stains here and there or are you hoping for a forever pristine surface? Countertops are going to take the most wear in your kitchen so the right material choice is paramount. We will help you find that balance between form and function from the many countertop material options available. You can change a kitchens vibe by just changing out the hardware and a can of paint. Brass is the new Satin Nickel but it has sooo much more of a sassy party feel. Or go black and industrial with hardy sash pulls and black knobs to get a French Patisserie feel. It’s really that easy. We’ll work together to get the kitchen you’re looking for. Renovation and remodel are often used interchangeably however a remodel refers to a complete change in infrastructure to your home to accommodate a new space. Depending on the age and size of your home, this may be your answer for the kitchen you’re looking for. 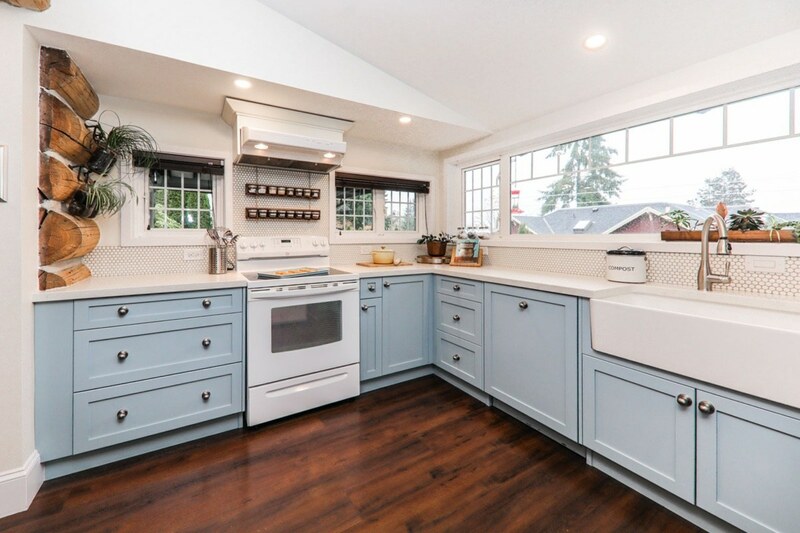 Older homes didn’t centralize the kitchen as they are designed now, either closing them off or not giving kitchens the opportunity for lots of natural light and flow. It may be time to consider a kitchen remodel to install your new kitchen in a different region of the home or merging two rooms like the kitchen and dining room maximizing efficiency and size of the most commonly used space in the home. 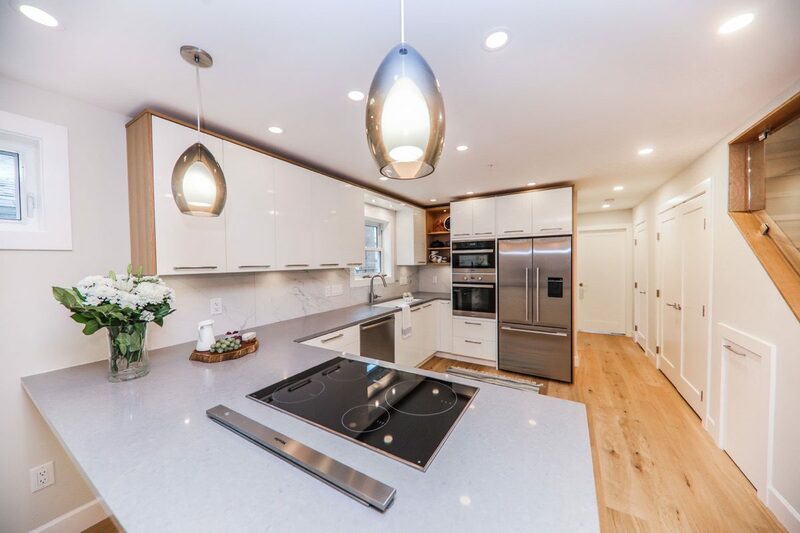 This will require structural and infrastructure changes like movement of your plumbing lines, likely the addition of new ones for that second sink in the island, moving your HVAC to accommodate the new cooktop range hood and the movement of walls including their structural reinforcements. It’s a big job but as the hub of the household, one that always pay off. You’ll get the use and experience you were hoping for and when you look to sell the home, get that value back in the sale price. Our job is to make sure your needs, wants, look and feel are clearly detailed into the design for your new kitchen. To achieve this, you will need to walk us through how you currently use your old kitchen, both daily and in large gatherings. This way we capture the deficiencies and bottlenecks that are driving you to renovate. We’ll also discuss the feeling or experience you’re looking for. Are you done with the heavy wood and dark countertops, ready to see light bouncing and warm metal hardware, or would you prefer a more moody, glamorous stage for cooking and entertaining? Or maybe you’re open to having your kitchen look more like a living space that ties to your great room with similar aesthetic and flow. We put all of your information together, combine it with our experience, knowledge and vision to create a presentation that includes the new kitchen function, form and flow as your new proposed kitchen design. Together we continue to review it until we arrive at your final kitchen design. Congratulations, you are officially on your way to kitchen bliss with map in hand and fabulous gatherings on the horizon! Sometimes stealing space from other rooms isn’t an option and only creating more space will do. It may just be a 6’ kitchen addition our or it may be 16’ kitchen addition. Whatever it is, if your kitchen is cramped and there’s no available space anywhere else we will head outside your current foundation to create the space. Not unlike a kitchen remodel a kitchen addition is also no small feat but achieves the function, form and flow that you require improving your current kitchen design. Once you determine if your kitchen requires a remodel or addition, your only limit is your imagination. With the extra space and light we can create that functional and inspirational kitchen that encourages guests to stay for the fun and kids to stick around and chat. We can add a fireplace to really add warmth and ambiance plus large patio doors to further extend the kitchen to the deck enhancing the outdoor kitchen space. We can create space for that large table, inviting for 2 or 12 and install task, ambient and accent lighting to ensure that no matter the size, your kitchen design is both generous in size but also provides that intimate experience.